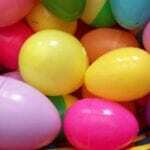 I don’t know about you, but I LOVE doing crafts with my kids. 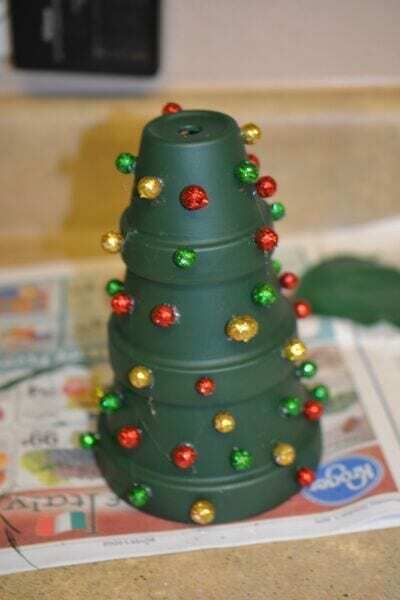 It’s even better when you can showcase those crafts around your house for the holidays. 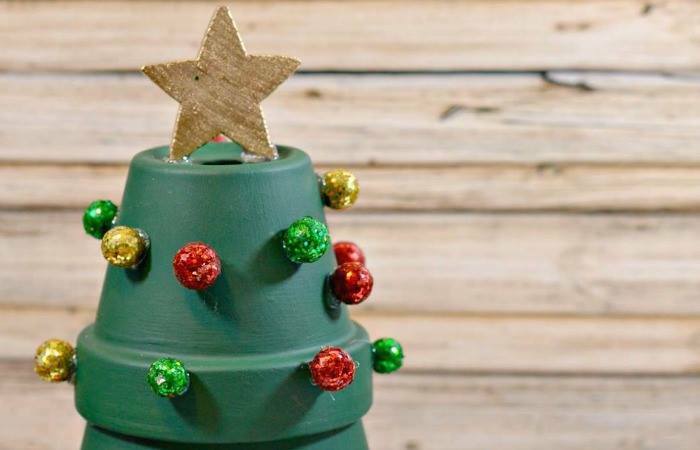 This DIY Terracotta Christmas Tree is an easy and cute craft that you can do with the kiddos. You’ll have fun and you’ll have great decorations for Christmas! 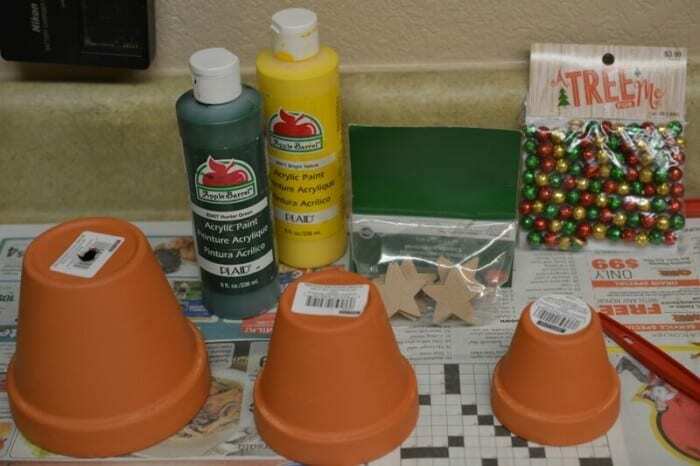 3 Terracotta Pots – For this tree I used the 3 smallest pots that I could find at the craft store. 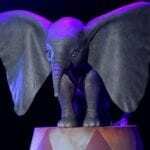 But keep your eye out for the larger ones as well! 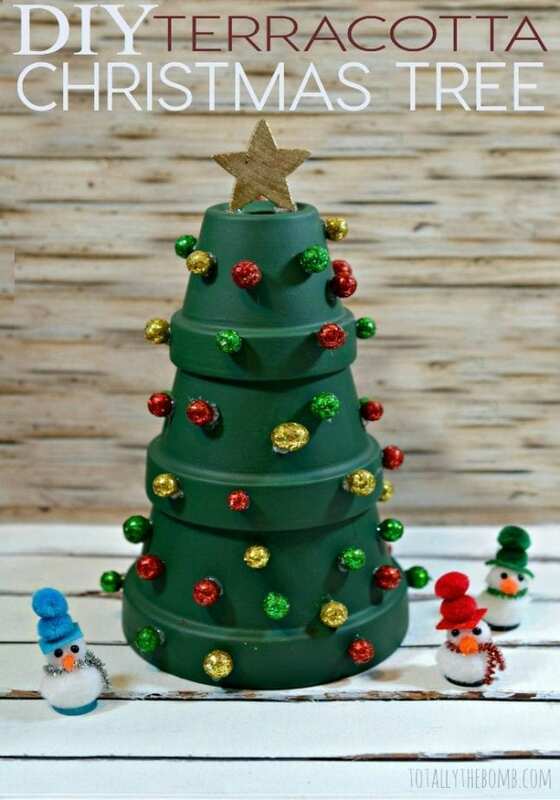 This would look so adorable using 3 large pots to create a large tree! Perfect for sitting on a hearth or porch stoop! Lay down some newspaper to paint on. 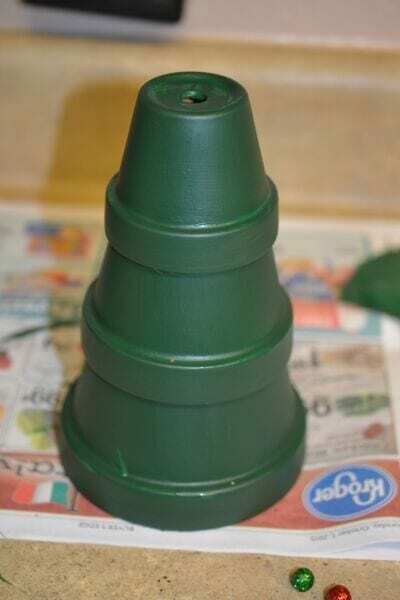 Paint a light coat on the pots. Don’t worry about fully covering on the first coat. The paint will dry quickly on the terracotta. 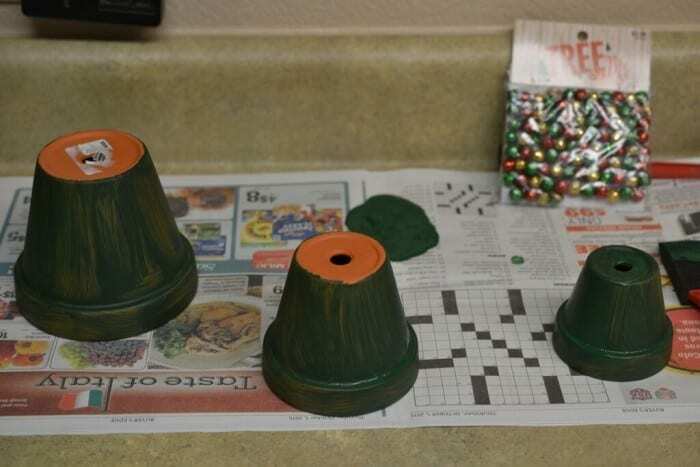 By the time I was done painting all three pots, they were dry enough to start the second coat. I put 3 coats of paint on mine and got just the color and coverage I was looking for! 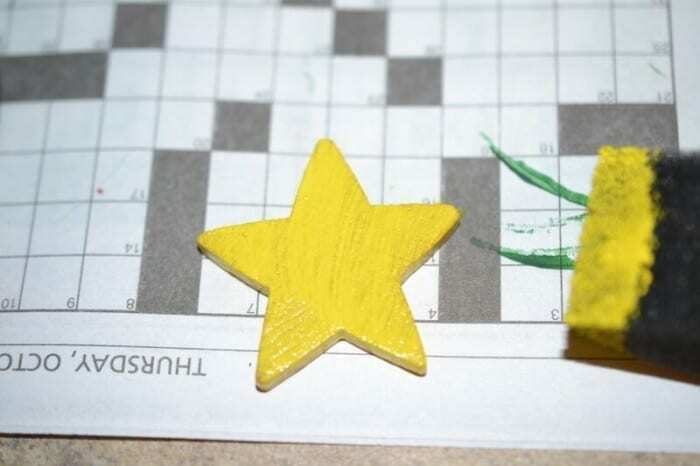 Next, paint your star. I did a coat of yellow acrylic paint and topped it with a coat of metallic gold paint. Stack the pots on top of each other. You can secure with hot glue if you would like. Hot glue your decorations on. You can use regular craft glue if you prefer. 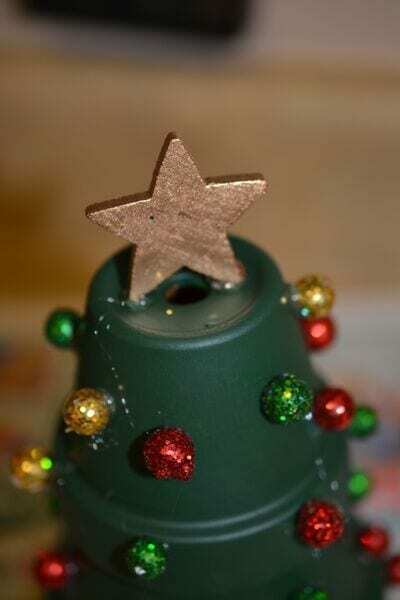 Glue the star to the top of the tree. Your tree is ready to display! In six easy steps you and your children can create cute decorations as well as create memories that will last a lifetime. 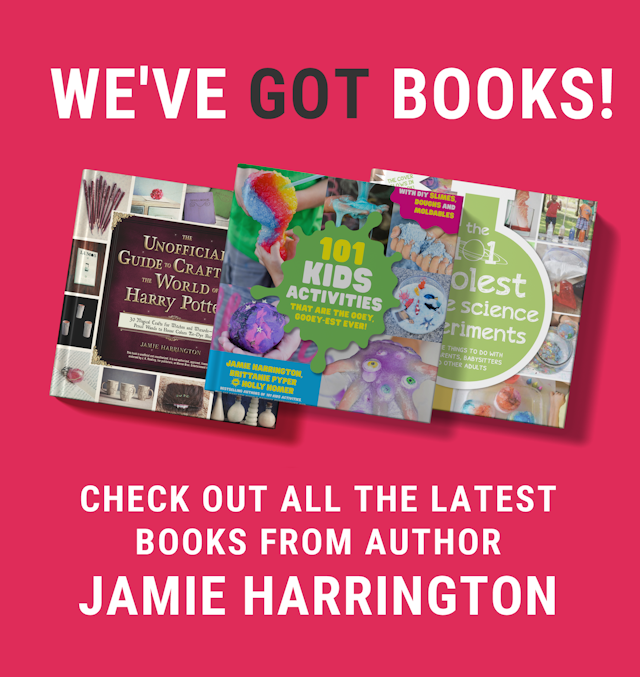 These would also make cute gifts for grandparents, teachers, or other special people in your life.